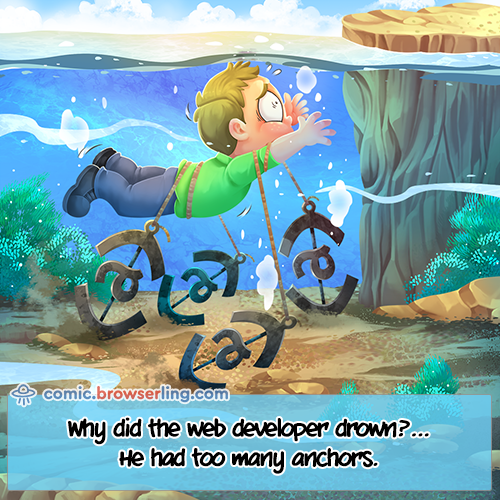 Why did the web developer drown?... He had too many anchors. 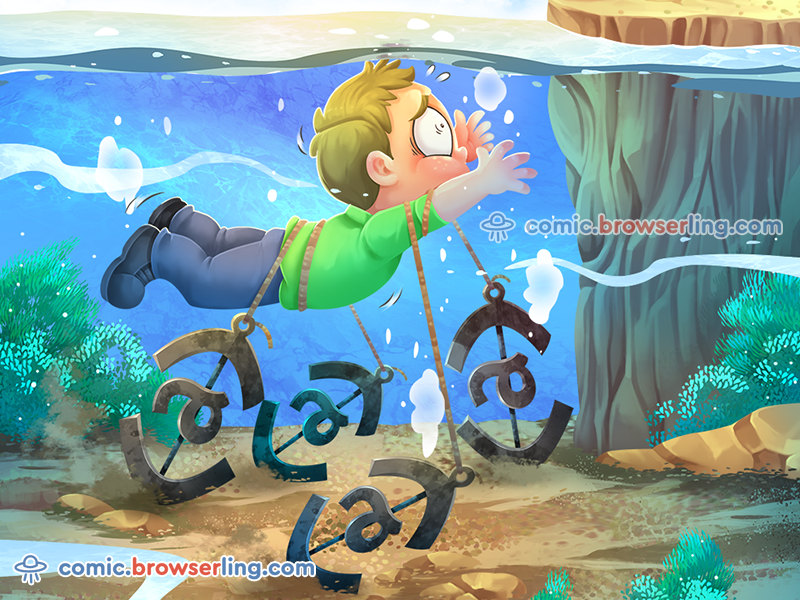 Secret message: If you love our comics, we love you, too! 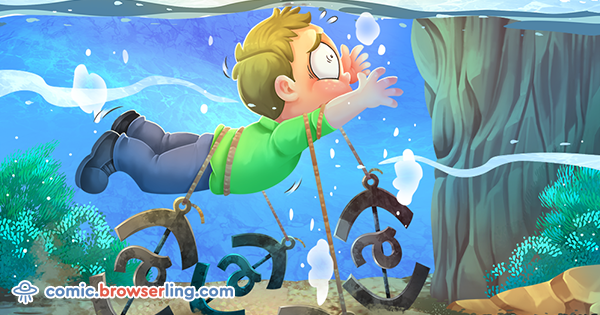 Use coupon code COMICLING99 at Browserling to get a discount on team and developer plans!